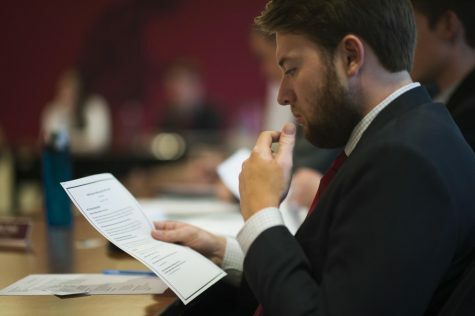 Former president of Young Democrats and current ASWSU Deputy Director of Legislative Affairs Quinton Berkompas listens as newly appointed president Hannah Martian speaks to the varying opinions brought up in the open forum during the Young Democrats meeting in the CUB on Thursday, Jan. 24. He resigned at the beginning of the meeting. 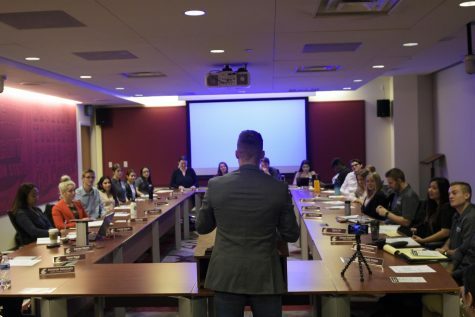 Berkompas announced his ASWSU presidential candidacy through social media. 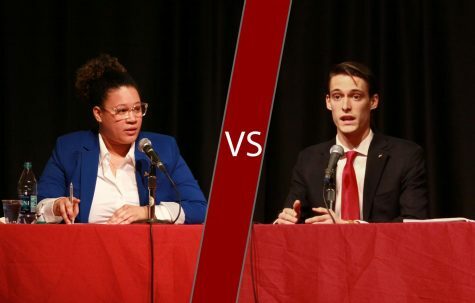 Two pairs announced their candidacies for president and vice president of ASWSU on Thursday through social media. 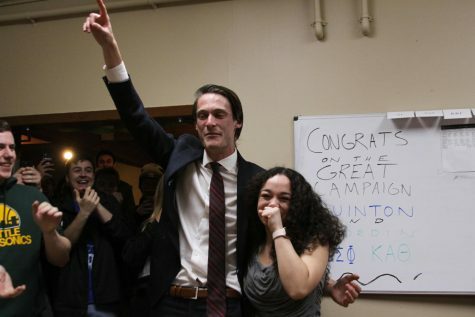 Quinton Berkompas, deputy director of legislative affairs, announced he would run for president with running partner Jhordin Prescott, a Kappa Alpha Theta sorority member. 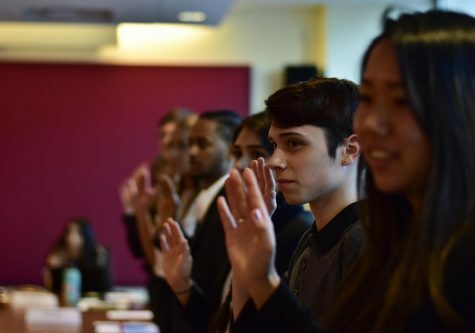 Mariela Frias-Gomez, director of inclusion, diversity, and equity, announced she would run for president with Uncertified Senator Camille Naputo. 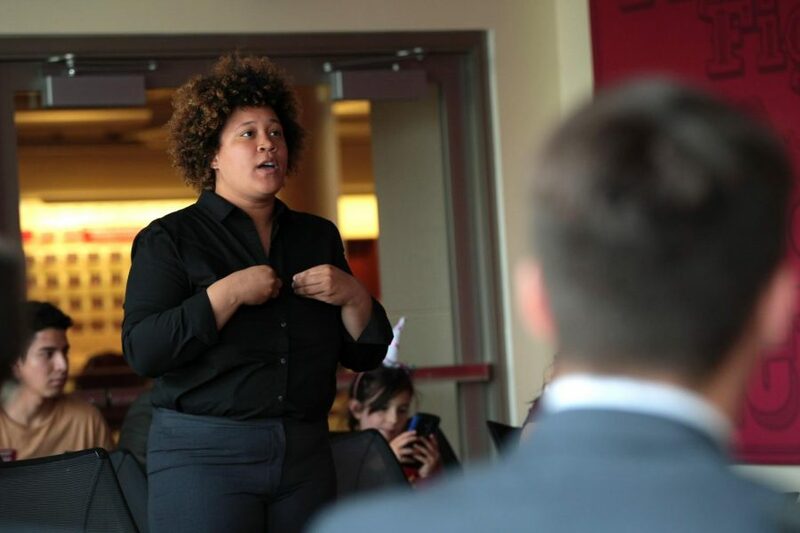 Berkompas said ASWSU is a great organization and has a potential to impact the WSU community. Prescott said she wants to give people resources and give them the ability to succeed. 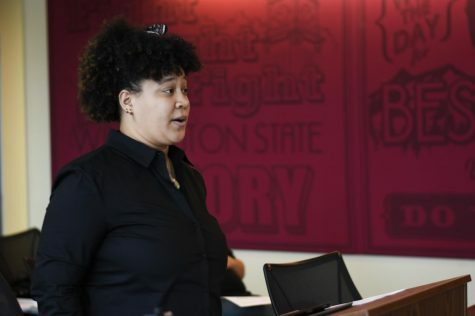 Co-director of Diversity and Inclusion Mariela Frias speaks at her confirmation at an ASWSU meeting Wednesday, Aug. 22 in the CUB. 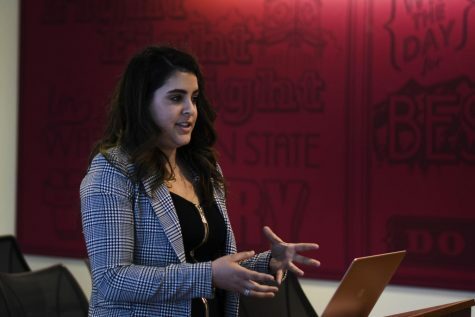 Frias-Gomez said she has always dreamed about building communities and working with students to improve their experience at WSU. 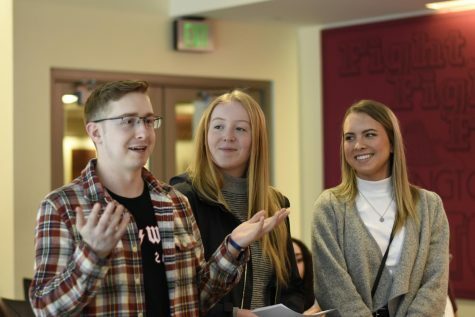 Berkompas said the theme of the campaign is “Forward Together.” They want to focus on the relationship of ASWSU with the student body and address issues that can benefit the students. Frias said the theme of their campaign is “IMAGINE,” which is an acronym of their pillars. Some of their pillars include collaborating with different organizations and working with communities. Berkompas and Prescott both said they plan to better the community by focusing on mental health and transportation services. 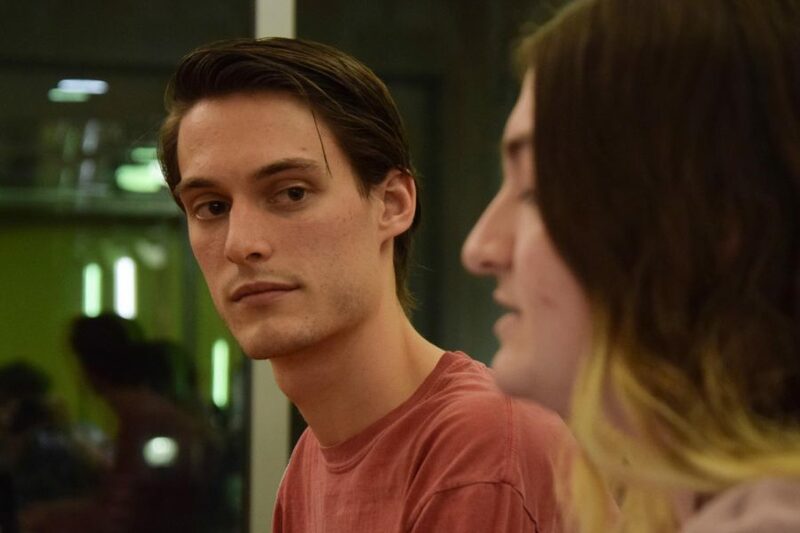 Berkompas said while many spoke about and focused on sexual assault issues, the discussion drifted off that topic. “We want to make sure we are always supporting the survivors,” Berkompas said. Another part of his campaign, he said, was to ensure the bus system works well for students. 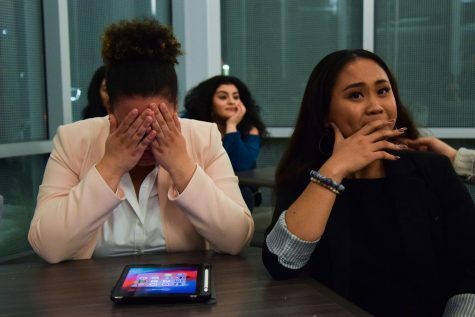 For Frias, she said she plans to collaborate with and involve numerous organizations in hopes to unify the Cougar community in the best way possible.